Last week, Facebook released its “2014 Year in Review” that highlights the most talked about events of the year on Facebook, yesterday, Google released a similar video about the top search keywords in Malaysia and around the world, and now, it’s Wikipedia’s turn to release its first ever year in review video called #Edit2014. So, how has the year 2014 been on Wikipedia? Pretty much the same, the most talked about topics are similar with Facebook and Google with things like the Malaysia Airlines double tragedies, Sochi Olympics, FIFA World Cup, Ebola outbreak, and such. However, unlike the fancy videos shared by the rest, Wikipedia’s video uses only text, photos and videos that were uploaded by its contributors, showing just how powerful its database is. 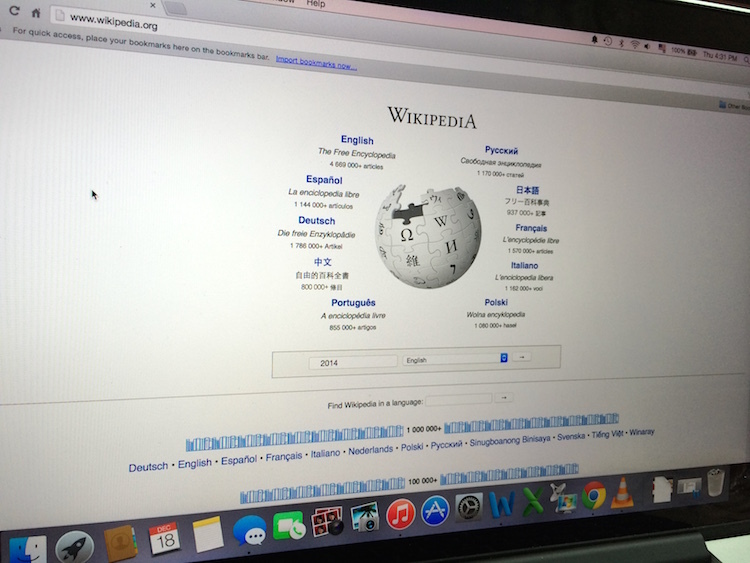 “Wikipedia reflects the world around us. With each new event, it changes and grows, accommodating our human triumphs and losses.” – Katherine Maher of the Wikimedia Foundation. As for things as a whole on Wikipedia, the online encyclopaedia received over 3 million new articles this year with more than 100 million edits made along the way, and have been viewed over 250 billion times by people around the world. Ex-Arrow Gaming Members Reform As "We Are Sorry"